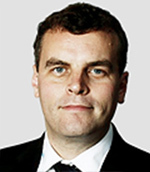 Tim Montgomerie edits Conservative Home with Jonathan Isaby. He launched the website on Easter Monday, 2005, with the aims of championing grassroots party members and advocating a balanced, authentic conservatism. Born in 1970 he grew up in Hampshire and Germany – living within an army family. He studied Economics and Geography at Exeter University before joining the Bank of England in 1992 where his responsibilities included the Russian economy and the study of systemic risk in financial systems. With David Burrowes, Tim established the Conservative Christian Fellowship in December 1990. He was its Director for thirteen years – first in his spare time and then full-time. From 1998 to 2003 he ran the Conservative Party’s outreach to faith communities and the voluntary sector. His responsibilities including writing speeches for two Conservative Party leaders, William Hague and then Iain Duncan Smith. Tim was Iain Duncan Smith’s chief of staff for his last two months as Conservative leader and throughout 2004 helped him to establish the Centre for Social Justice. Tim is a regular media pundit. His broadcast experience includes Radio 4’s Today, The Week in Westminster, The World at One, PM, The World Tonight, Any Questions?, BBC1’s Daily Politics and Ten’o’clock News, BBC2’s Newsnight, Channel 4 News, Sky News, Fox News and Bill Bennett’s Morning in America radio programme. Tim has written for The Spectator and a number of national newspapers including The Times, The Guardian, The Telegraph, The Independent and the Financial Times. In November 2008 he launched the London Centre for the Study of Anti-Americanism. The early work of the Centre is captured at AmericaInTheWorld.com. In June 2009 he launched ConservativeIntelligence.com.